I have been contemplating for some time now on writing a small guide on how to get into this hobby or what headphones and related gear to buy. Before reading this you should also check this article where I explained how I got into this hobby and how I see it. Before getting into the subject, many could ask themselves “Why headphones?”. This is a very good question indeed. The discussion of “Headphones vs Speakers” is a hot debated subject between music gear enthusiasts, especially coming from the people that are into speakers. I just want to say that I would never give up on headphones for speakers. I am focusing on my headphone system for now, but in time I may add a speaker system as well. I know it may usually be the other way around, but I got into this hobby because of headphones, not speakers. It was after that moment when I discovered high-end speakers and what they are capable of. The space of a headphone system is much smaller than the one for a speaker system. If you live in a flat and have neighbors, the headphone system is much easier to use without disturbing them. Also if you have a office job like me which involves a lot of sitting and you can work while listening to music, well…headphones are the answer. If I am working from home, I am listening to music from my desktop headphones system, If I go to the office I have my portable “system” with me and I am still listening to music. Can’t do that with speakers. Also with the later you have to sit in a well calculated position to get the most out of them, so I couldn’t work at my computer and listen to the speakers at full capacity due to positioning. So, to speakers I could only listen in the morning a little before work and maybe a little in the evening, but not too much or too loud as I would get my neighbors on my door. These said, headphones give me much more listening time than a speaker system would. Some people think that headphones are just for listening on the streets, for portable use or just to stop others from hearing what you are listening to, or you from hearing them. This is not the only purpose of headphones and they can be used in full blown audio systems dedicated just to them, or they can be considered a very important part of the sound system. Open circumaural, full sized or over the ear headphones: These is my favorite category in both comfort and sound quality . They don’t isolate you from the outside noise or the others from your music. So they are not meant to be portable and should be listened to in quiet environments. The best headphones in the world are included in this category. They usually sound more natural & have a bigger soundstage. Sealed circumaural , full sized or over the ear headphones. They provide isolation some better than others so they are better suited for listening in noisy environments. Open supra-aural. These have pads that are on your ears not around them. Grado RS2i belongs to this category. I used them at my last workplace as my colleagues were OK with the music coming out of them as they are the same on isolation with the first category. However, I liked the fact that I could hear my boss from the other room calling for me. Sealed supra-aural: the same as the category above but sealed. They provide isolation and are mainly meant for portable use or professional use (djs for example). In Ear Monitors (IEMS) or Custom In Ear Monitors (CIEMS) : They are inserted in your ear canal and have the best isolation. I was quite impressed with the sound quality in some of these, but I for one don’t like them as I consider it uncomfortable inserting something in your ears. Before buying a pair of headphones or even speakers for that matter, make sure you are not using your on-board sound-card, because you will not be listening to them at full potential. Also, depending on the case, make sure you have a decent amplifier. I know, this may be overwhelming at first. It sure was for me after I got my first good pair of headphones, Sennheiser HD595. Believe me…they can, and the more you get into this hobby, you will perceive differences at another level as your ears and audio memory will improve and be more sensitive to details. I have noticed a lot of people saying that you should build your system around your headphones and they should be the priority. I do not agree with that “philosophy”, as if you decide to change your headphones, you may find yourself in need of changing your entire system. I would rather have a neutral system that could be a good match with most headphones. Don’t be afraid, as for starters you can get something really cheap and and very decent sound quality. The FiiO E07K is a very good portable headphone dac/amplifier for it’s price and it will sound better than almost any dedicated soundcard and all onboard soundcards. As for headphones, I have heard 2 different pairs that sound incredible for their price : Creative Aurvana Live (Ro) ( circumaural closed) and Pioneer SE-A1000 (Ro) (circumaural open). So with 140$ you can get a decent headphone system!!! Isn’t that awesome? If you want to go a little bit further, I would recommend going with the new Focal Spirit Classic paired with Arcam rPac, FiiO E07K / E17 / X3 (x3 for maximum portability). Innerfidelity is Tyll Hertsen‘s website, one of the founding fathers of this hobby as he invented the first headphone amplifier. He also has very good reviews and one of the best headphone measurements out there. Measurements should not be the most important factor in your decision but it may help a lot. If I can I try making my own impressions after hearing the product and then look at the measurements, not to be influenced by them in the listening process. If you cannot listen to product before buying it, it could be a very good decision factor. You could see if a headphone is too bassy, lacks midrange presence, has too bright treble, etc. I am usually looking for a flat frequency response with decent but not too bright (spiky) treble. You should also keep in mind that this hobby is quite subjective so you should try finding a reviewer that has the same tastes as you. Beyond this I will make some recommendations in different sections based upon my experience. This may change in time and the pages will be updated/added accordingly. Before getting into the DACS section, I recommend you this article first. 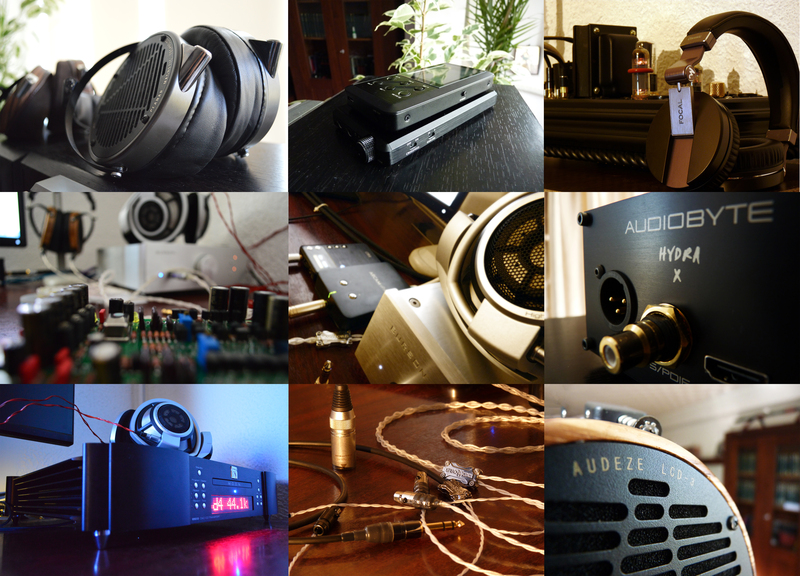 If you are not convinced you need a headphone amplifier, please read this article first. I was curious why/when you need a pre amp to go with a headphone amp. I’ve seem some dacs that are or can act as a preamp and dac, but since you’ve already got headphones to an amp why do you need pre amp? I understand that a pre amp boosts the amplitude/volume right? Are there certain amps that need a pre amp or is it just for certain pairs of headphones? I don’t think that adding a pre-amp will benefit any headphones on the market today, unless the amplifier is not well designed. At least this is my perspective.